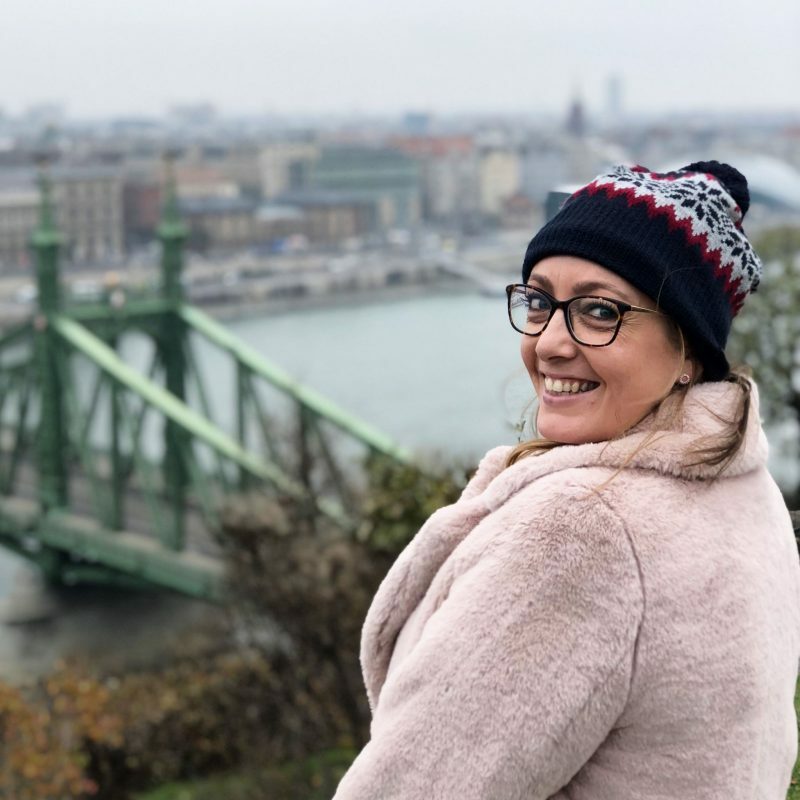 I’m afraid I’m slightly behind on my GBBO posts due to holiday fun, but I will try and catch up asap! 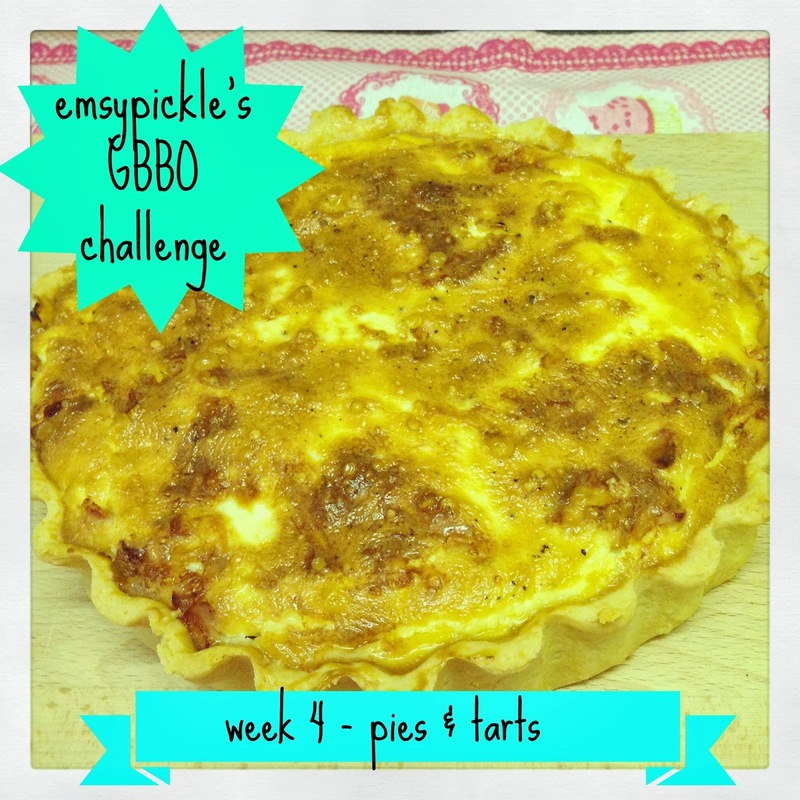 This week I tackled Pies & Tarts Week – one I’ve been looking forward to and dreading in equal measures as I’ve never made pastry before and someone on the show always manages to have a soggy bottom disaster! 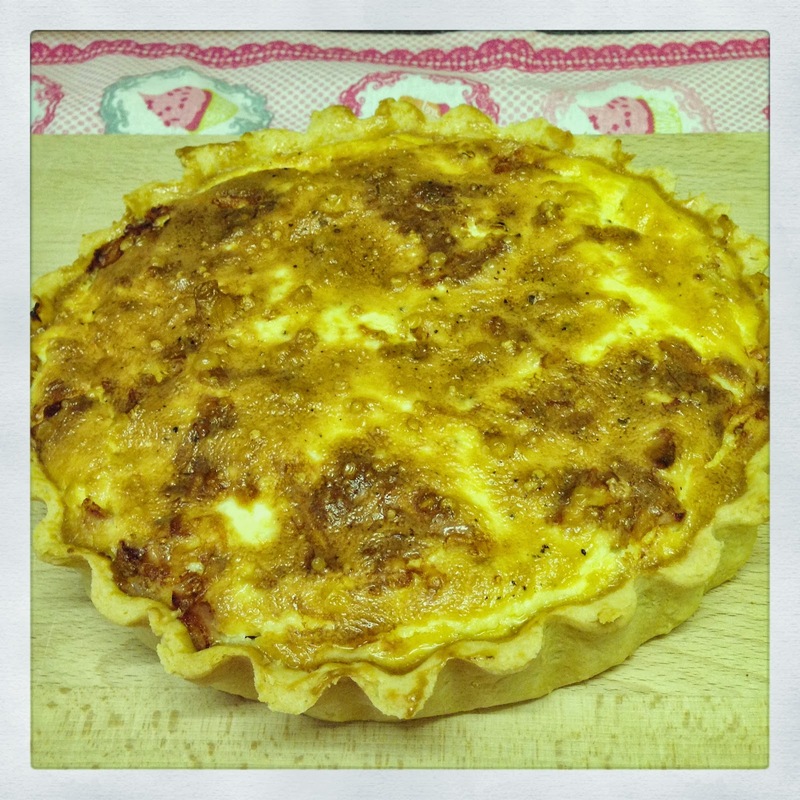 Hilarious when watching the bakers from home, but how would I fare when tasked with the challenge of making my own Quiche Lorraine?! I was pretty pleased with the final product! 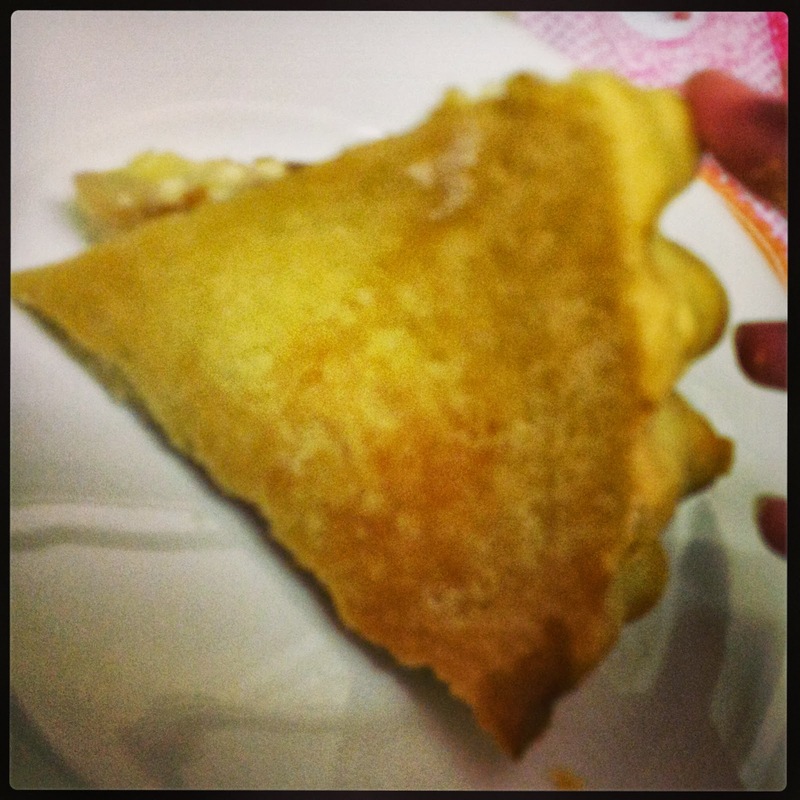 The pastry turned out really well and was nicely cooked through and light and flaky. 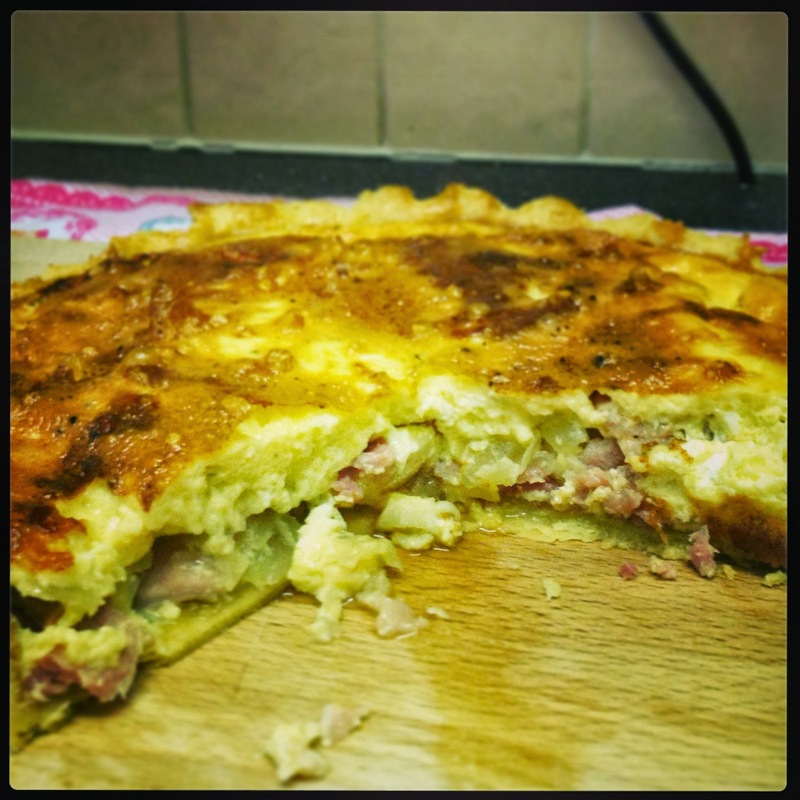 I did have a very very slight hint of a soggy bottom – just at the very middle of the quiche. It could probably done with another couple of mins in the oven, or perhaps I’d rolled it slightly too thin in the middle. 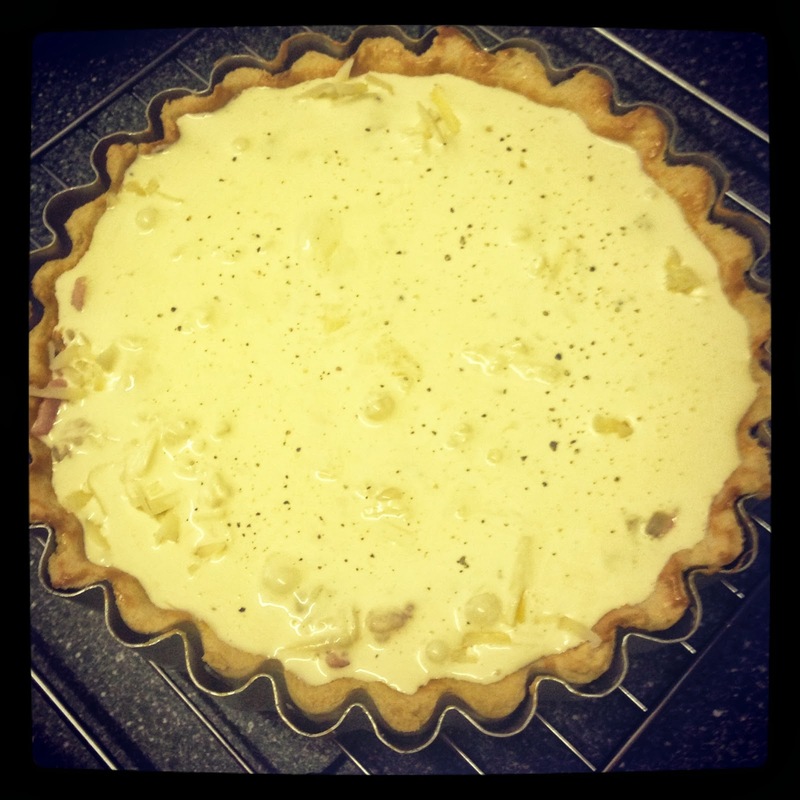 The filling was delicious, and I put quite a lot of pepper in to balance the thick cream and cheese. The pastry started off a bit of a nightmare and I had to throw my first batch away! I was too heavy handed when rubbing the flour and butter together and just smushed it all in to make a big greasy doughy blob, rather than making breadcrumbs and then adding water to bring it together to a dough. I also didn’t chill it properly before trying to roll it out. This meant it was very warm, and stuck to the surface and rolling pin, and just fell apart. Booo!! 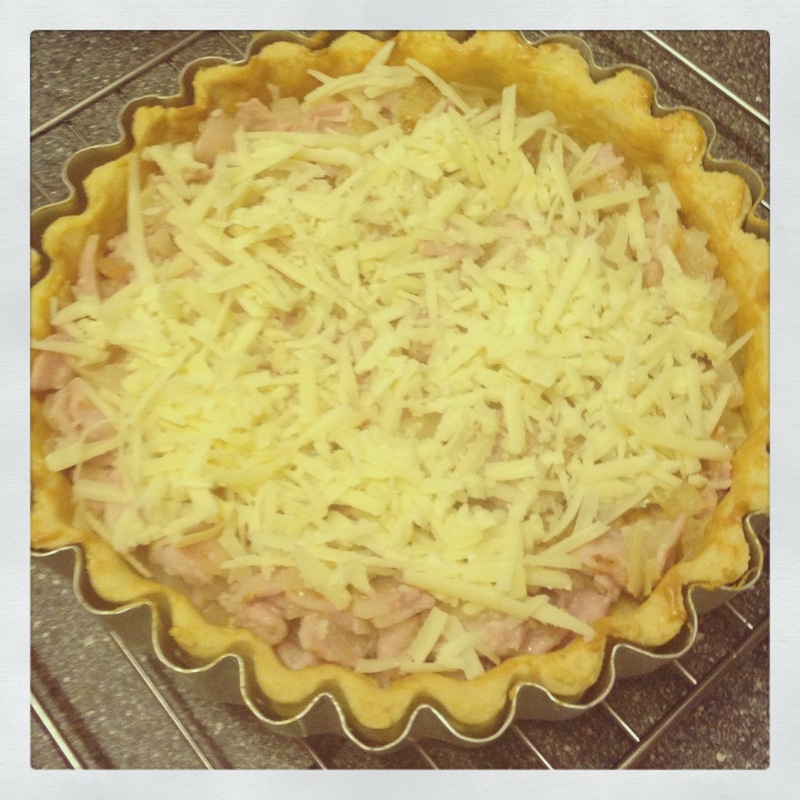 But I think I’ve got the basics down now and will definitely be making this again, and experimenting with new quiche recipes, and different types of pastry. I’d love to try and make puff pastry as I usually just use the Jus Roll sheets. 1. Sieve the salt and flour into a bowl, from quite a height to get as much air incorporated as possible. 2. The butter should be at room temperature – relatively chilled but soft enough to cut through easily. Cube it and add to the bowl. 3. 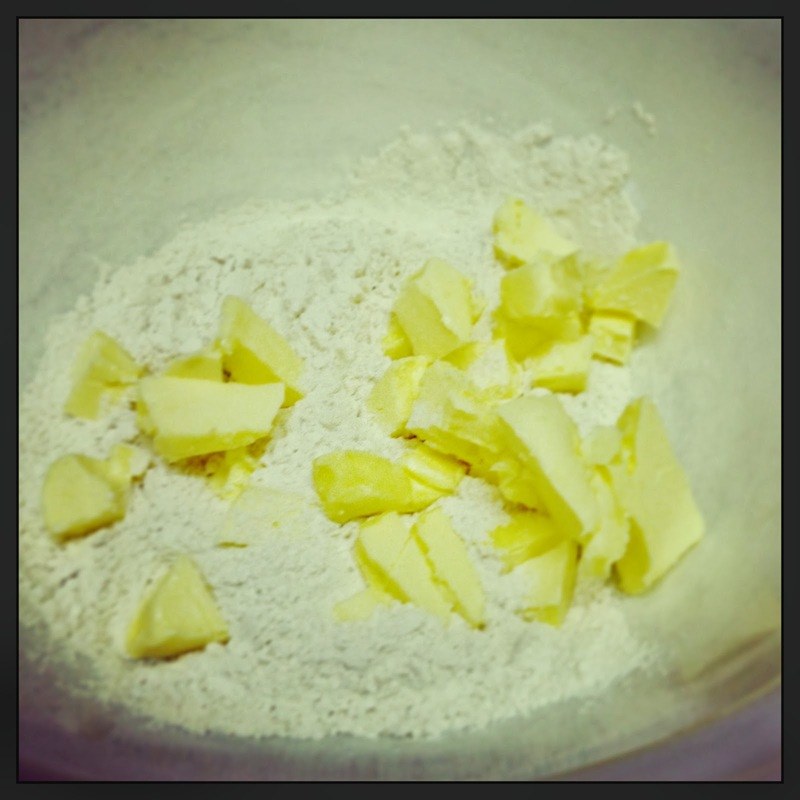 Gently rub together the flour and butter with your fingertips to form breadcrumbs. HINT – be patient and work quickly but gently. Don’t get heavy handed – as I was at first – and just smush and knead your fat and flour together – this will not work and you’ll have to throw it away and start again. Hurrumph! Using your fingertips will limit the amount of melting the butter will do, and limit oils from your fingers making the mixture greasy and unusable. 4. 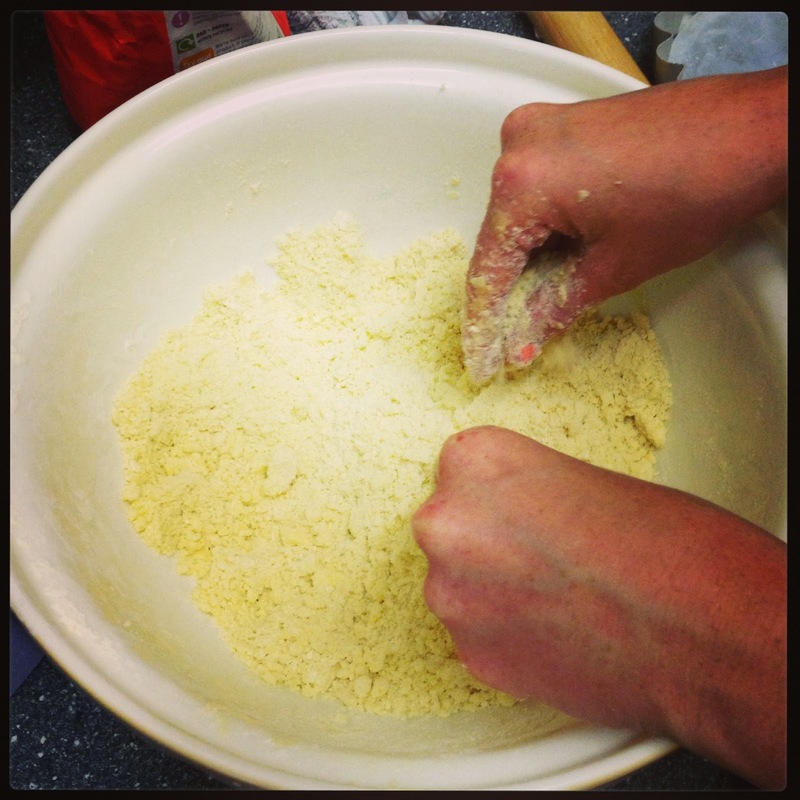 Once the fat and flour has all been rubbed together to form breadcrumbs, slowly add cold water, a tablespoon at time, until the mix has formed a dough. HINT – the water should be as cold as you can get it. As with the tip above, you don’t want the dough to be too warm from being worked too much, or adding warm water as it will become sticky, crumbly and unusable. 5. Chill your dough for 5 – 10 mins in the fridge to let it set, and make sure it’s a good temperature for rolling out. In the meantime grease the flan tin. 6. 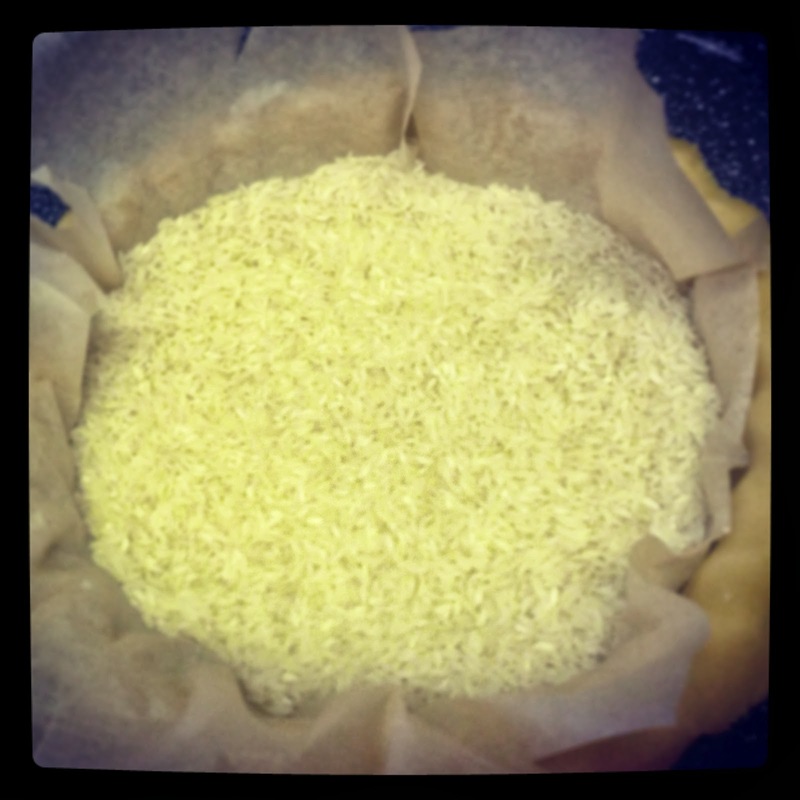 Dust your work surface and rolling pin with flour and gently roll out your dough in a circle which is big enough to fit into the flan tin – make sure you have enough to go up the sides. 7. Gently lift the pastry up (thank you boyfriend for helping me!) and into your flan tin. 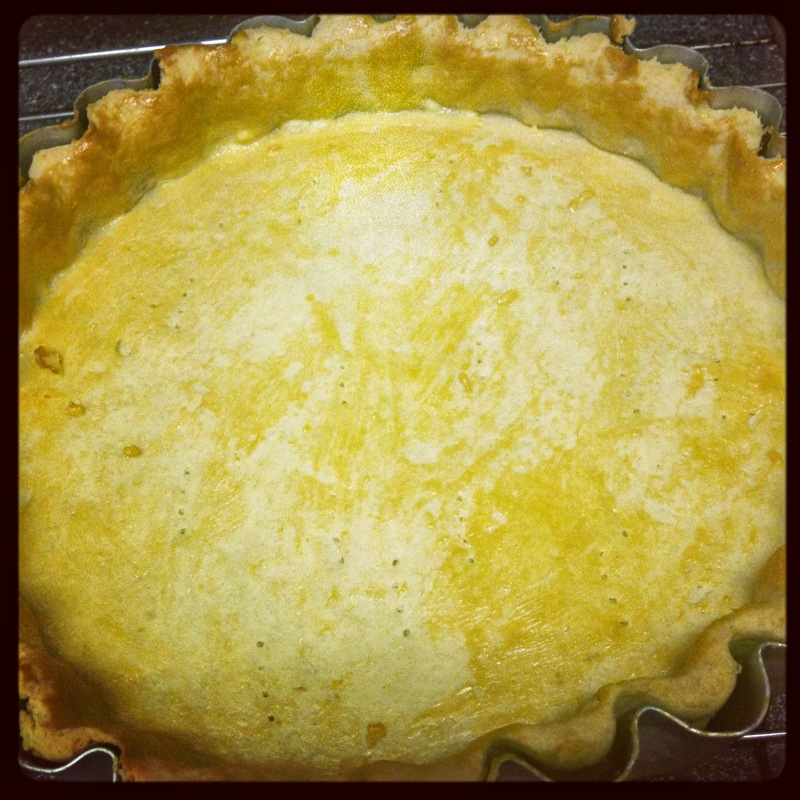 Gently press it into place and into all the frills (if it’s a frilly sided flan tin!) and leave any overhanging bits for now. Line with greaseproof paper and top with baking beans (I used dry rice instead) and then pop back in the fridge to chill again for 10 mins. 8. 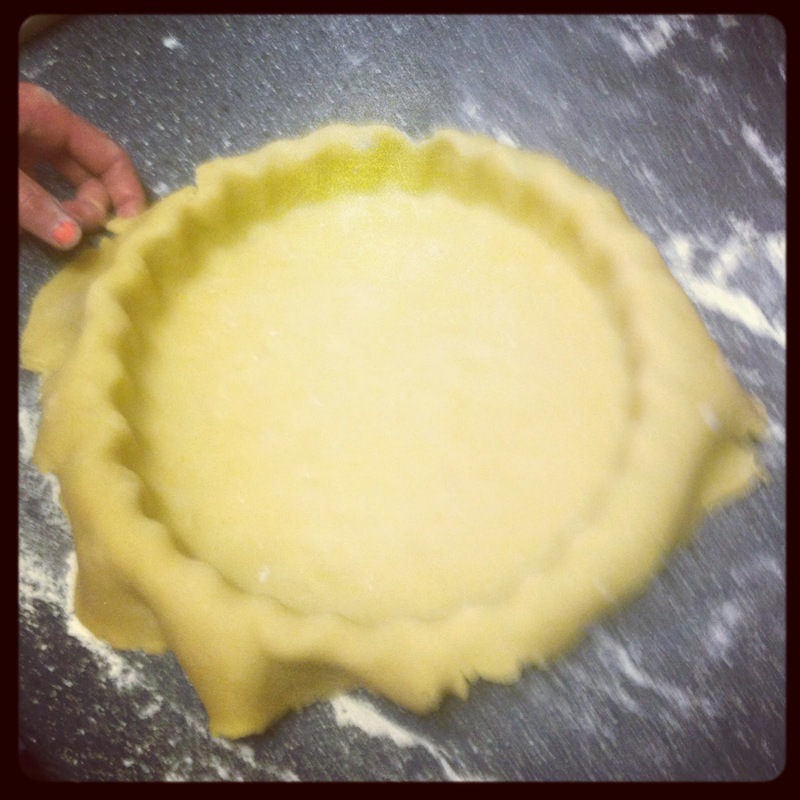 Trim off the edges of the pastry so it follows the shape of the tin. Then put it into the oven on 200oc / Gas Mark 6 for 10- 15 mins until the pastry starts to go light brown. 9. Bring it out of the oven and remove the grease proof paper and beans / rice. 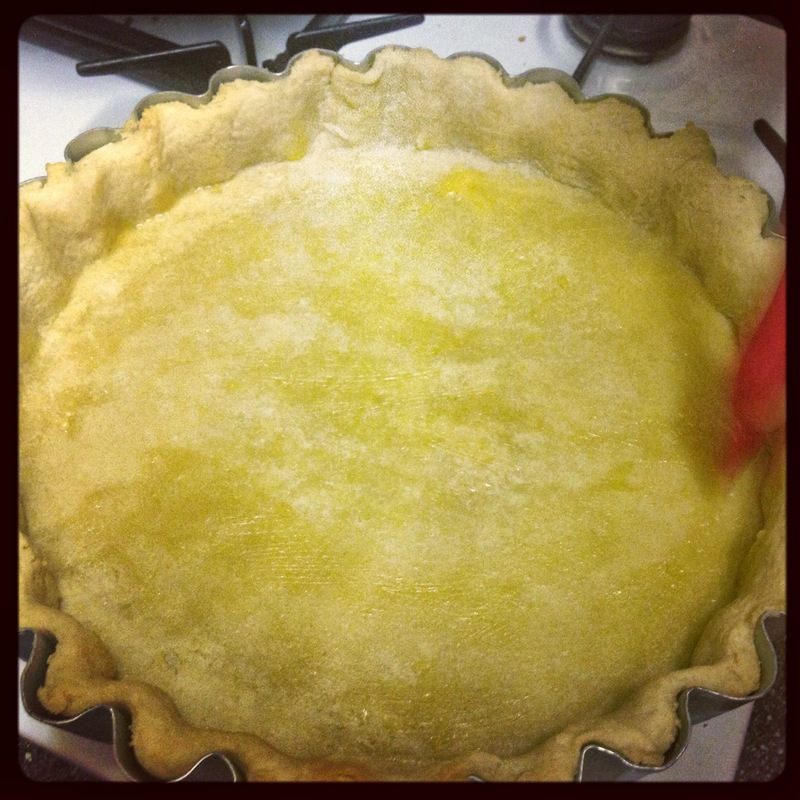 Brush liberally with egg yolk and prick the base very lightly with a fork, which will stop the pastry puffing up in the oven. HINT – prick gently! You don’t want to go all the way through or your filling will seep out. Soggy bottom central. 10. Put the pastry back in the oven for another 10 minutes until it looks a lovely golden colour. Then bring out and cool on a rack in its tin. 1. 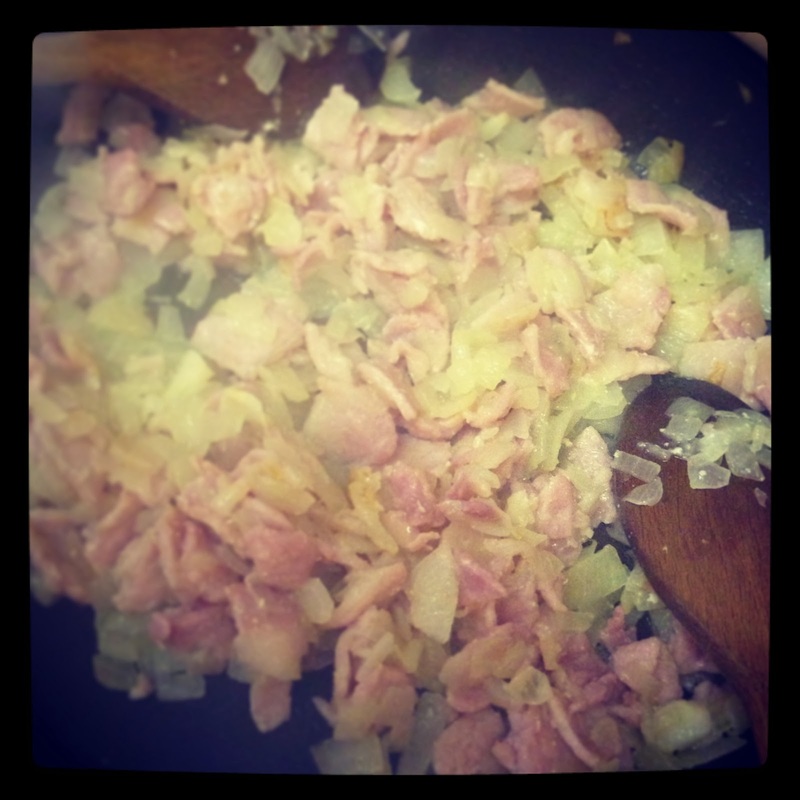 Lightly fry the chopped onion and bacon in a pan with a little bit of oil, until the bacon looks cooked through and the onion is starting to brown. 2. 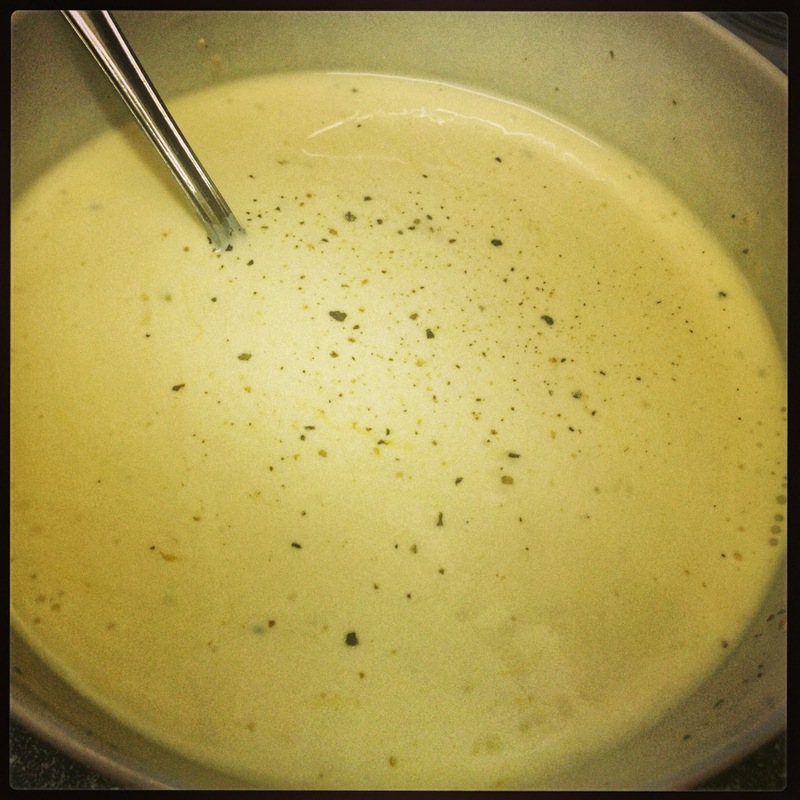 Beat the three eggs together and then mix with the cream and add as much pepper as you like. 3. 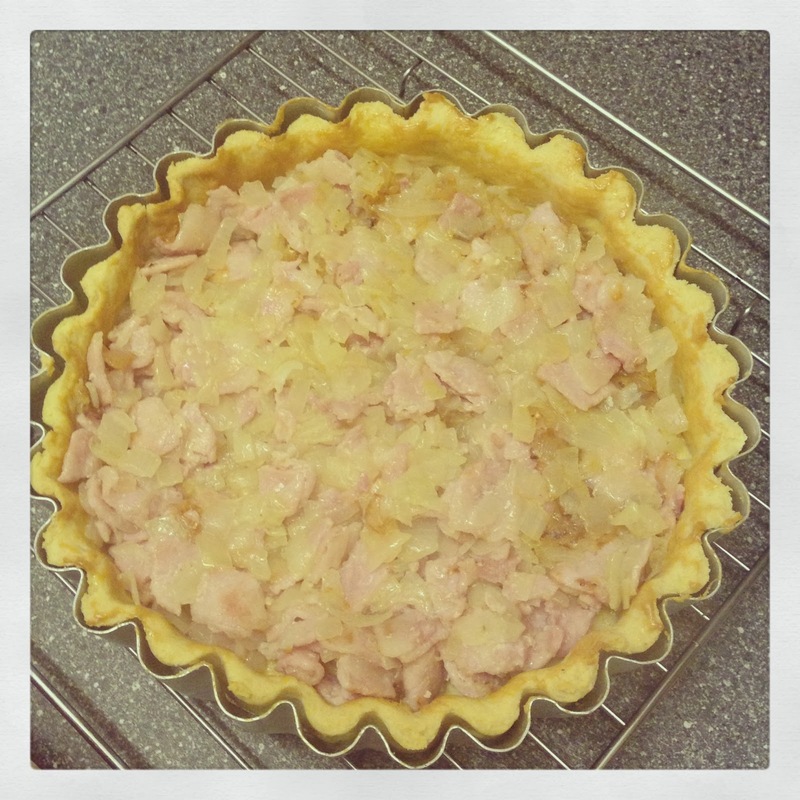 Put the onions and bacon into the cooled pastry and spread evenly. 4. Sprinkle over the grated cheese. 5. Pour over the egg, cream and pepper mix and then return to the oven. 6. 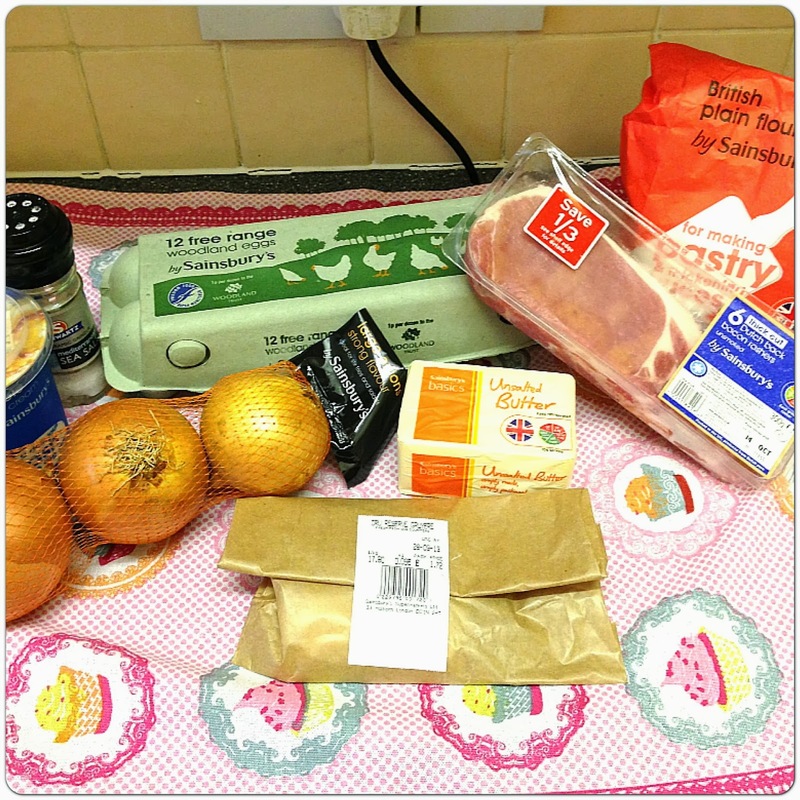 Bake for 30 – 40 mins on Gas Mark 4 / 170oc until it looks golden on top and cooked through. 7. Take out of the oven and DEVOUR!!!!!!!!!!! 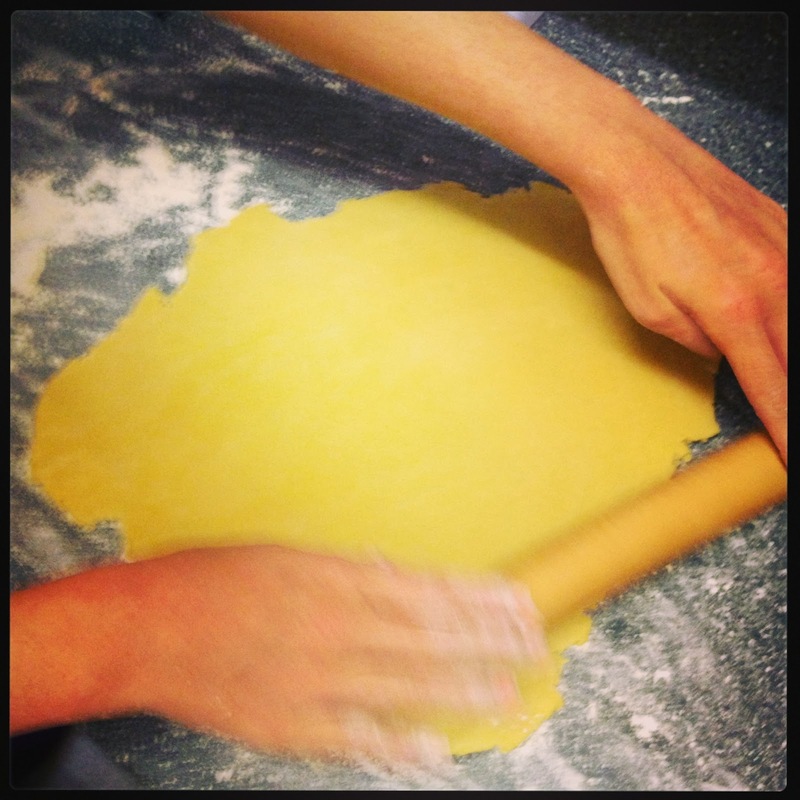 Have you made pastry before? How did you get on?